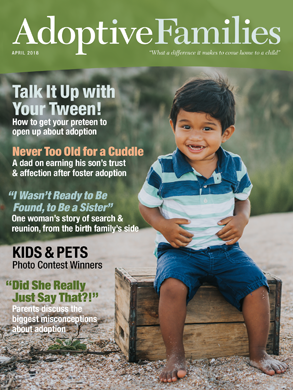 I am connected (would rather not say how) to the birth parents of a young man who was placed for adoption by extremely young parents (13/14). He’s now 28, and had been trying to find out about his heritage. He stumbled across his birth father’s family through ancestry.com, but his birth father is unsure how much contact he wants to have (they’ve talked once), and hasn’t been helpful in connecting the son to the birth mother. The kicker is that I don’t think the 13 year old mother was given a say about her pregnancy - I believe she was more or less forced to carry to term, and I don’t know how traumatic this was for her. Here’s the question: I’m sitting on contact information that may lead to the birth mother, and I don’t know how to balance her needs against the son’s. In most cases I know the answer would be to give give the contact info to him, but I’m wondering if that’s ethical given what happened to her. The person I know best is the birth father, but he’s refusing to talk to anyone about any of this right now. I am connected to the son, so it would be easy for me to send him an email containing…anything. Can you contact birth mom first? Are you able to reach out to the birth mom first to ask her how she feels about the contact? By you saying you’re not sure if it’s ethical, is that because you are involved with them on a professional basis and it goes against your ethical obligations? Everyone has told me that the mother may shut the door in the face of any request for contact, so the son should be the one who has the chance to have what may be a single contact with her for his entire life. But since I know what the mother went through, I’m not sure it’s ethical to reveal her identity without permission and stir all these memories up for her. I’m not professionally involved in this case, but I am a social worker in a different area of practice. I’m also not sure what my role should be, given that I’m not directly involved. If contacting her via email, maybe you could make the subject line something that would grab her attention but clearly be about him, then keep the message inside brief and include things in attachments she can choose to open (or not) in her own time. For example, a letter from her son as one attachment, contact information for her to reach out in another, etc. Let her unpack it slowly instead of some long ‘this might be our only chance to say it all’ email. All I have is an address and phone number, for whatever difference that makes. It sounds like you think contacting her first is preferable to giving him the contact info? I would probably call her and just let her know the situation and that you were familiar with the adoption. You’re just trying to do the right thing. We don’t know if she has any support re this. Is she married? Does her spouse/children know? Does she just want to know if he is alive? Maybe she wants a relationship or just a one visit. She may be waiting for him to contact her or she may not be interested. I doubt a thirteen year old was given much choice if her parents were not able/willing to care for the baby. If they were not where would she go? How would she care for him? She was a minor. It may have been too late to terminate the pregnancy or her values or her family’s values would not let her choose abortion. Who knows?? you could call and say you are helping a friend search…is he or she a client? If so I would check with the ethics folks at your state board. It is not your place to with hold crucial personal information from an adult who needs and wants it. Tell this adopted person what you know and leave it to him to decide what to do with it. There is no need for you to impose yourself as a mediator, especially if that’s not a role you’re placed into as part of your job. If the adoptee asks for your help in reaching out to his mother, then by all means intervene. But i bet he won’t. Regina is right - I know nothing about her current situation or what her feelings are about the adoption. She could have been waiting her whole life for this moment, or this could have been the worst thing that ever happened to her, and unmasking her would be a further trauma. A bit more disclosure: I have no professional connection to any of this. I knew both of the parents at the time, and I’ve been looped into the recent contact with the son. The birth father was just as capable as me at finding the information about the birth mother, but is unwilling to be involved or apparently even helpful. It may not be my place to withhold information, but I’m also not sure it’s my place to provide it, especially as a person who is not directly involved, and especially if the mother may be trying to protect her privacy about an extremely painful and traumatic time in her life. So, you have no professional connection to this case, you knew the b-parents when they were young, you still have some relationship with b-dad, you have had some contact with adoptee, and you have contact information for b-mom. You have three options: do nothing, give adoptee contact information, or contact b-mom yourself. There are great arguments for each of these options, and likely we could debate ethics all day long. My take on this is that you are speaking about the b-mom as if she is still thirteen. This is not to downplay what she went through, only to say that she is now an adult in her 40’s. She may or may not want contact, she may or may not have told people about this, she may or may not want people to know, she may or may not have support. When the young man reached out to b-dad, the same was true as far as the adoptee knew. It sounds like you would like for b-dad to facilitate contact with b-mom, but that isn’t going to happen. Maybe you would prefer to do nothing, and are looking for support for that position. You may not be directly involved, but you knew both parents at the time, you still have a relationship with the b-dad, and you have had contact with the adult adoptee. You have important perspective to share with the adoptee about the circumstances of his placement. You do not know b-mom’s current situation, and you are guessing she would find contact traumatic, but that is just a guess. The b-mom can refuse contact just as b-dad has, if that is her wish. The ethical issue would be clear if there were minors involved, but these are all adults. I think the most ethical thing would be to give the adult adoptee the contact information. You could certainly share your concerns with him about the trauma his b-mom went through, and your understanding that she had no say in the decision to place this child for adoption. And you may certainly ask him to consider what he will do if b-mom, like b-dad, declines a relationship. But then let the adoptee decide what his next move will be. Have you ever read “The Girls Who Went Away” by Ann Fessler? If not, you should. You should also be asking both adoptees and first/birth mom’s this question instead of adoptive moms/dads. I wouldn’t get in the middle of this but give the adoptee the contact info and graciously bow out. My dh found his bmom and she pretty much rejected him and still he says knowing is better than not knowing. I definitely appreciate your concerns…keep us posted.